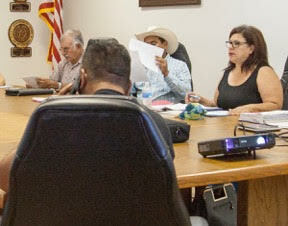 Ever since Presidio County adopted a new “conflict of interest” policy late last year, Sheriff Danny Dominguez has refused to get on board with it. County Judge Cinderela Guevara is worried that could lead to the county losing critical law enforcement money it gets from the federal government – money that Sheriff Dominguez and his deputies need to do their jobs. It’s not clear if that’s actually going to happen, but either way, this months-long standoff between the judge and county commissioners on the one side – and the sheriff on the other – points to some deep-seeded discord among elected officials. The policy states that county employees and officials should disclose any potential conflicts between their personal interests and their duties as public representatives. Federal border security funding programs like Operation Stonegarden require the county to have that kind of policy in place – the sheriff and the judge agree on that point. But that’s about all they agree on. Dominguez says the reason he won’t agree to the policy is essentially becuase he doesn’t have to. “That is the reason I’m not signing it, because it does not include me,” he says. His argument for why he believes that is complicated. Dominguez cites various state laws to back up his claim, but basically, he believes the conflict of interest requirement laid out in those law enforcement grants only applies to county employees, and that he – despite being paid by the county – is not a county employee, but rather an elected official. Judge Guevara disagrees; she’s pointed to another part of state law saying he does have to sign it. Neither of those ideas have been vetted by the courts, but County Attorney John Fowlkes says there’s probably not anything that legally binds the sheriff to agree to the new policy. From her perspective in this tug-of-war, Guevara doesn’t get why the sheriff won’t just get in line if there’s even a chance it’ll put his own department’s money at risk. “And the only thing that I’ve been able to do is just ask him straight out, ‘sheriff, why will you not sign the conflict of interest policy? Do you have a conflict of interest that you are concerned about, or are that you are concerned you may have? '” Guevara says. Dominguez isn’t convinced what he’s doing will put his grant money in danger. 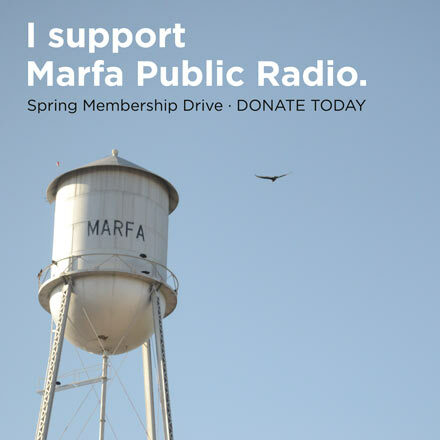 “They say it does, but I can’t understand why the state or federal government would put that local entity in that kind of position, and compromise that kind of position, to where they gotta do that,” he says. That’s really at the heart of the sheriff’s problem with this policy: he feels it’s all simply a power play by the county. When it comes to possible conflicts, Dominguez does co-own a private security company along with fellow sheriff’s office employee Shanna Elmore, but he says he does not use county vehicles or resources for it, which would be a conflict. He insists he’s not trying to hide anything. Judge Guevara says the county should have some greater control – not over the sheriff’s office as a whole, but simply over county equipment. “I know before I took office, a lot of things were done that shouldn’t have been done,” she says. She’s still hopeful Dominguez will give up his fight and sign the policy, but the sheriff insists he will not, and he doesn’t seem to be looking for a compromise. “They can keep on digging though, they’re gonna run out of tools, and they’re gonna hit water pretty soon,” he says. We’ll likely know who won this war of words when the state finishes up an ongoing review of the county’s grant applications for next year. If that review doesn’t mention Dominguez and his standoff over the conflict of interest policy, then the county will probably get its money. 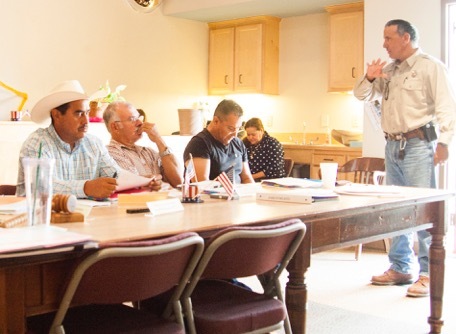 But if the intensity of this debate is any indicator, that doesn’t mean that future disagreements among elected officials in Presidio County will be quickly solved. This entry was posted in KRTS News and tagged Border Security, Cinderela Guevara, Danny Dominguez, Homeland Security, Law Enforcement, Law Enforcement Funding, Local Government, politics, Presidio County, Presidio County Comissioners, Presidio County Sheriff's Office. Bookmark the permalink.